Combine teff and water in a saucepan over medium heat, bring to a boil, stirring frequently to keep from sticking to the bottom of the saucepan. It will get a little lumpy, this is fine. Lower heat and allow to very gently simmer for 15-20 minutes until thick. In a blender, combine the teff with remaining ingredients and pulse until well combined. Serve chilled for best results. 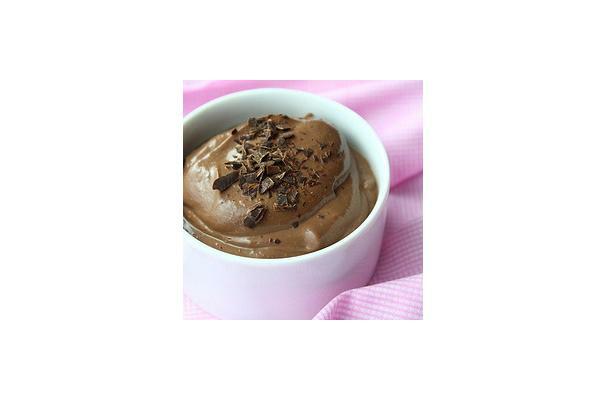 A quick and easy chocolate pudding that is gluten free, dairy free & vegan! Silky, chocolate and utterly decadent - not to mention healthy! Teff is packed with protein, fiber, calcium and iron! Photo by llsimon53 on Flickr.